I think there is a tendency to view my reviews of artisans as binary - either ‘good’ or ‘bad’. Perhaps because there are just so few bad reviews of luxury products. But the reality is no view is straightforward. Some tailors produce a great product, but need a little direction on style. Others have style nailed, but are just difficult to deal with. My review of Salva Ambrosi’s trousers back in February 2016 is one that will probably be remembered as ‘bad’ by most people. But it is probably best summarised as: great fit, great style, with some silly mistakes. The two pairs of trousers he made fitted very well (despite fairly light measuring) and his suggestions on style and cloth were bang on. The issue was that some style points were wrong (eg leg width) and communication wasn’t great on getting those right. That could easily be enough to deter potential customers, but it’s worth saying again that other tailors do struggle with both fit and style - and that arguably on style and handwork, Salva set the bar that other aspiring trouser-makers now look to. With that in mind, we visited Salva’s workshop in Naples over the summer, with a view to covering the craft and style side. The workshop is on the first floor of a building on Via Chiaia, right in the middle of town. Big windows look out onto the courtyard (pictured top) and busy tourist-stuffed street below. 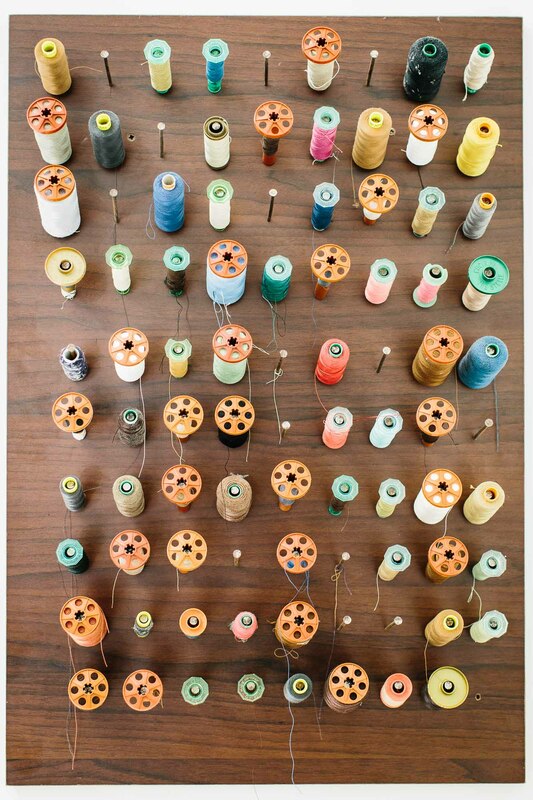 The bright-white rooms and high ceilings make for a nice working environment - as well as showing every loose thread and scrap of flannel on the floor. Salva's father (above) is constant, watchful presence. He takes little notice of Salva, who flits from office to product to worktable, but watches carefully over his glasses at the five employees. The bespoke product is mostly done here, but 12 people work in a separate workshop in the suburbs, producing largely ready-to-wear. That ready-to-wear and made-to-measure product (some pictured in the header of this post) has expanded a lot in the past three years, and is hoped to do so more as Ambrosi works with Tommaso Melani and the Sartoria Vestrucci product - in which Salva is an investor. Salva would like to see a future where a series of showrooms around the world offered made-to-measure trousers and suiting. Ready-to-wear is for shops that buy stock. Bespoke should be the ultimate product, always handled by the cutter/tailor. On that point, it was nice to see Salva working on a few pairs of trousers - largely doing the tack stitches around the tops of the pockets. 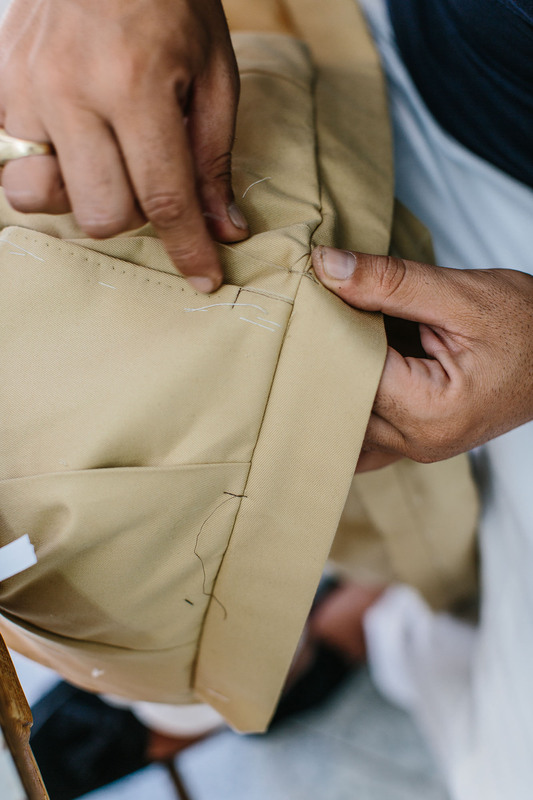 One of the biggest things that Salva brought to the market when he became big a few years ago was this handwork: tack stitches, pick stitching down the outside seams, touches like the buttons inside turn-ups. He wasn't the first to offer it of course, but it stood out compared to the basic (if very neat) finishing of English tailors. Other design touches that Salva is offering include belt buckles in precious metals that fasten the extended waistband. These are supplied by Ranfagni, a jeweller in Florence, in silver or gold-plated silver. There are some issues at the moment with the position of the prong, and in any case the style is too showy for me, but the shape of the buckle is lovely and it's always interesting to see new ideas. You can follow the discussion on The Ambrosi workshop, Naples by entering your email address in the box below. You will then receive an email every time a new comment is added. These will also contain a link to a page where you can stop the alerts, and remove all of your related data from the site. I don’t think that’s correct I’m afraid. Both parties tell me he is still a minority investor. Do you have any specific fabric-bunch recommendation for cream/tan wool summer trousers? I’d like to have something more formal than my cream/tan cotton trousers (they lose shape quite easily), but also a bit more casual than my fresco mid-grey one’s. Do you have any experience with cream/tan fresco or crispaire as odd-trousers? I might try that sand fresco. Had wanted one with some heathering, but now I think plain is fine. To JohnnyD, I have some crispaire pants and imo they’re more formal than fresco, because the weave is tighter and they keep a crease better. When are we going to see the PS denim shirting? I find these kinds of articles on artisans take a bit of getting used to. Rather like harnessing a taste for a strong cheese/ wine/ coffee. 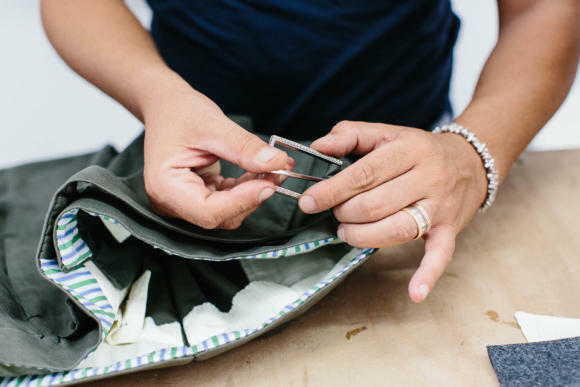 Many of us have followed you because we wanted to learn about fit, tailoring, colour, composition….. and now you’re leading us down the route of the craft. That’s something we’re having to get (almost allowing you to engage your ‘inner geekiness’, with respect). On the subject of style . I think you need to define what you mean . How does style differ from fit? Are style and fit mutually exclusive? Which is more elusive , style or fit? By fit, I mean execution: tailors might see different things as a good or bad fit, but they need to execute it well – eg the trousers need to sit in the place they said they would, whether thats the hips, waist or anywhere in between. By style, I mean everything about the look of the trouser – the cloth selection, button selection, width through thigh, knee and hem, the length, the waistband, and the look in the seat and waist. That latter area is a question of fit too, to some extent (a tight fit, a loose fit), which is why I define fit just by execution. No I haven’t, but I still feel able to recommend them – as the level of make is very good (Rota) and I have seen pieces come back well fitted, perhaps with one or two adjustments only. I have three pairs of linen trousers from the A&S Haberdashery. I am happy with all of them though happier with the unpleated ones than I am with the pair with pleats but that is just a style thing. Interesting article, and I’ve my ideas why things might go wrong now and then. Though style is a very personal thing among us, it’s only natural, that it’s the same between tailors etc. So first thing is to establish whether “this” tailors work, suit my kind of thoughts or wishes. Ok, job done, it seems to fit. Next comes the really tricky part, if we’re not, at home soil, language…..
I’m quite convinced most abroad tailors, cobblers, shirt makers etc. speaks English better, than most of us, speaks their tongue and that’s a huge problem. Why, we ask ourselves, they speak English, doesn’t they? Yes but rarely understand subtle wishes, or explained ideas or feelings. The speak lapels, notches, button-holes and so forth, but having trouble when it comes to style- or feel comments. I therefore strongly recommend, when you readers are in Paris, Milan, Rome or Naples to commission your sartorial delights, “rent a translator”. It hasn’t to be a professional one, very often it’s enough with some chap (he or she), from a restaurant or hotel, preferably from the university neighborhood. If you’re really lucky, you will find someone, from home, who speaks the lingo almost perfect. It’s worth it, so good luck and I sincerely hope, you’ll enjoy your new outfit! Thanks Anders, and that’s an interesting suggestion. Often craftspeople will hire a local translator to translate for me when I visit to interview them. And I have to say that although it is doubtless better than just me on my own, the problem is often that they know nothing about menswear. They might not know the word for ‘lapel’ or ‘cuff’, and they certainly don’t know why I care about various points of fit or style. I’m not sure you allow this, but I wrote this comment to educate the many readers about the experience with Ambrosi. I had read all the bad reviews about Ambrosi prior to making my first commission at the Armoury in New York, but decided to go ahead nontheless after promises from the Armoury that they monitor delivery times and make sure Ambrosi delivers orders made through them. I order two pairs, a charcoal crispaire and cream flannels around the end of 2015/beginning of 2016. I had my fittings a while later. 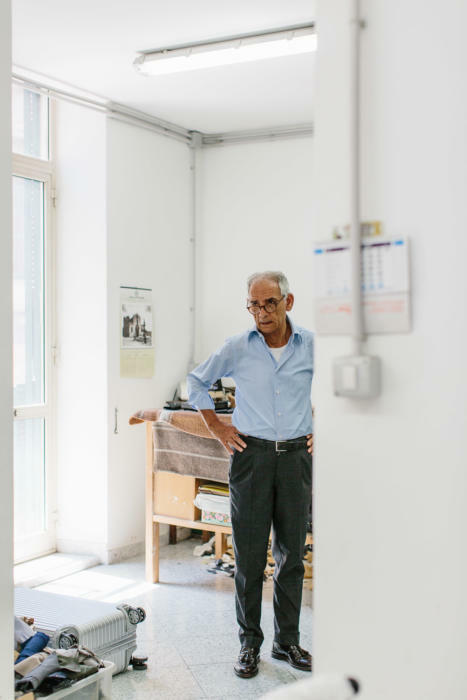 During the summer of 2016 I traveled to naples and had a fitting with Ambrosi on the two trousers and ordered a third pair directly from him (beige wool). I explained that the trousers were too narrow and I needed more space in the thigh area. I moved to Dubai around that time and asked for the trousers to be delivered there. The trousers were delivered but during my opening of the delivery package using a knife, I ripped the cream flannels slightly and Salva graciously agreed to make me a new one. The trousers were still tight and we decided to fit them the next time we see each other. Since then, Salva had been very hard to reach. After some difficulty, I managed to get a hold of him and we agreed to plan a time to meet in HK when he was there last April. He continued to ignore me and I had to corner him at the Armoury in HK with my trousers. He explained that his phone was not working which was a total lie. He saw my trousers and promised to fix them within two weeks in front of Alan (one of the Armoury’s owners). He also promised to send the remade cream flannels. I then made another commission (very stupid and naive indeed) of a pair of offwhite linen trousers). After that he completely disappeared for months. I sent some friends to his workshop in Naples and the lies continued. I was also in constant contact with the folks at the Armoury who were struggling to deal with him. In the end, he promised to send my trousers to the Armoury in August. When I arrived, I was shocked to see that he only sent the charcoal crispaire and a trial pair to fit before he made the linen ones. The crispaire had absolutely no alterations and still tight. I asked the Armoury for a refund on the three trousers bought through them and they graciously agreed – the situation was absolutely disgraceful. They have been trying to get me a refund on the pair I ordered directly from Ambrosi but he refused. He also hasn’t sent me my trousers. The man is absolutely terrible to deal with. A model for dishonesty and has not changed at all. Even his secretary lies on behalf of him and does not respond to emails. I hope he has the decency to refund my money after two years of waiting for trousers that don’t fit. Thanks Mohammed. Always happy to publish factual experiences, which in this case sounds very disappointing. Thank you. I appreciate the transparency. Michael Alden has written at length about tailors in Naples, based on well over 15 years of experience across a wide range of names. His advice is to avoid them like the plague. Thanks. I certainly haven’t been trying them for 15 years, but I have experience of many names and that’s a very simplistic conclusion – particularly when they offer something that is genuinely different to London, Paris or Milan in terms of style. Michael’s conclusions were based on their lies, fudging, inconsistent quality, failure to meet deadlines, poor fit, etc., etc. If you read him you will see clearly that his conclusion is far from simplistic. I have, thank you. However, dismissing all Neapolitan tailors – as you do in this comment – is simplistic. It is also a lazy generalisation – like saying all Savile Row tailors have no style and are stuck in the past. This is true of many of them, but certainly not all. I am not being lazy or dismissing anything, merely passing along the advice of somebody with a deep knowledge. Have you considered interviewing Michael Alden for the blog? I think that could be interesting as you two are kind of the “leaders” of the online bespoke community now. If you do interview Michael ask him about tailors in Sicily. There you will find quality and value. Thanks. Sicily is similar to many less developed areas of Italy in that respect – I’ve been exploring tailors in Puglia recently, for example. Posts coming soon. I don’t think you can possibly conflate Sicily and Italy to be honest. They are part of the same country, share the same language, and that is about as far as it goes. 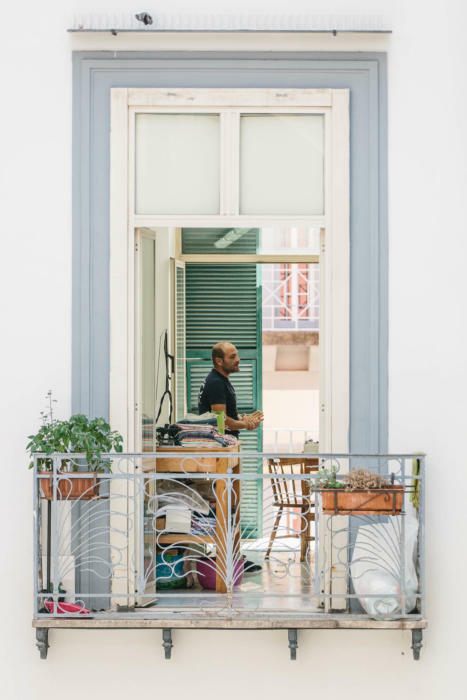 Puglia may yield some interest, but Sicily, in tailoring terms, is a world apart. Good luck with your discovering. I use a northern Italian tailor and he’s extremely reliable. If you’re in London, I can recommend Sartoria Vergallo. Ditto. Made several lovely things for me. Thank you both of you. Hopefully we will all benefit from testimonies like this one, starting with the tailor himself (assuming he changes/improves). Its Alan – apologies again on your whole experience with the pants. 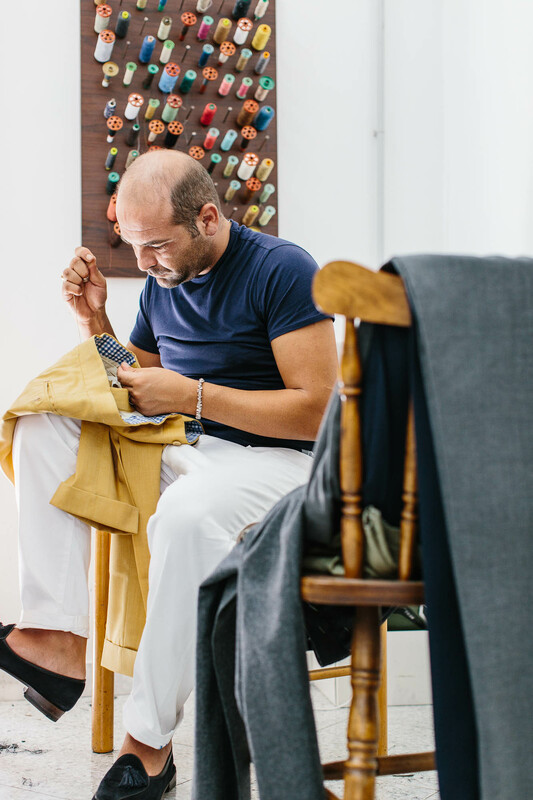 Unfortunately communications with tailors in Naples is sometimes the hardest thing to do – but we are definitely trying to make the whole experience better. We’ve put together simple systems for him to follow, updated his order forms, and even introduced a serial number system for tracking – which he is now all using. I can say that he has definitely improved vastly from before, in terms of leadtimes and accuracy of pants. On behalf of Salva – the charcoal pair of pants that you have are a pair of complete remakes. He sent me a few photos of the old pair he has on hand. He says he wanted to be certain that it could fit before he proceeded with the bulk of the order. Which I guess unfortunately didn’t! Let me talk to him about the refund on the other pair bought through him. Regardless, the whole process shouldnt be so painful for any customer – apologies again! Thanks for the message. Systems, forms and tracking systems have to be followed by humans – and in this case, the human is the problem and not the system. None of these fixes, in my opinion, will fix Ambrosi. All these justifications from ambrosi don’t really mean anything. It is always someone else’s fault but his. Also, saying that he made new trousers is a way of showing his supposed generosity, which is totally false. In any case, I hope you manage to get him to refund me or at least send me my beige trousers and allow me to find a tailor who can fix them. I have tried over 10 tailors in New York, London, Paris, Florence and Naples. I’ve had small issues here and there but Ambrosi is the worst of the lot by a distance. I think the Armoury is a fantastic place and works with some great artisans – Ambrosi should not be on that list. Apologies for the harsh criticism – however, I believe it is truly justified and really recommend readers on this page to avoid the waste of time and money that is Ambrosi Napoli. Mr i not justifications my self… and i not be generous,olso i never say i same one troble.. i just say the true, what we give you and what you still not acept.. so we can not do anything for make you happy..im still here for say sorry, and say we make your trousers for your hk visit.. about the list, sorry but i need to say, im in the many list in the world,i know all your dissapoint about this, sorry about, but i can not go out for make you happy .. and if you see in same of this post, olso we have same luky guy’s love our work and our sistem.. same time the proud of pepole kill the priority.. im very very much into the internet guy’s, I promise my self to not answer anyone two years ago, but if you spoke about my trousers, i will not answer you, but if you want spoke about my self, and you say im disonest, sorry i need to say im for sure not generous person, but im very onest… many pepole think im proud guy, im artist ect, i tell you this, im workers and i try evryday to improve my self into the bussines, and try to make happy all my costumer, in your case I failed, and i not whos happy, so, after i say sorry and refund your money, i not think i need say anymore think.. thx and sorry if you are dissapoint, i not say sorry becouse im in internet bloog, i say sorry becouse i think i not make my job good in your case ..
Can you please remind us what jacket you are wearing when seated on the sofa? 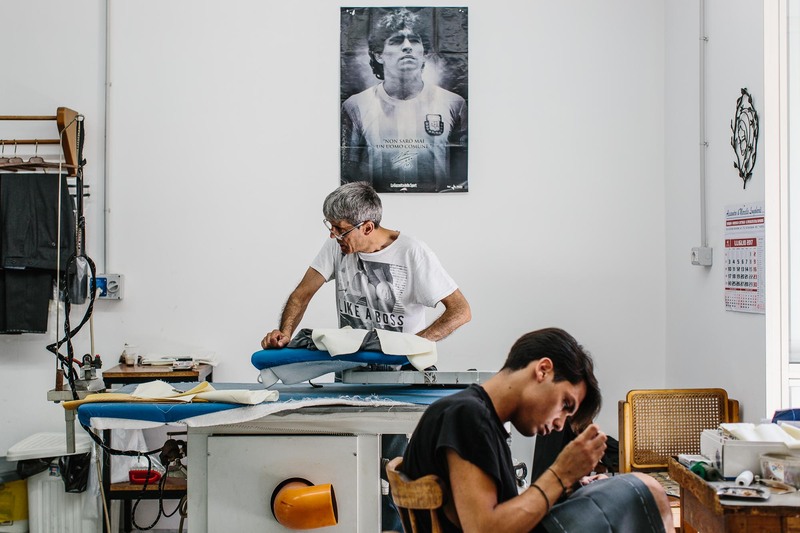 Of all the bespoke tailors in Napoli you have had commissions with, who would you most recommend for say a sports jacket. Elia Caliendo has always been my top recommendation. He is slightly more expensive than most, largely because he is London every couple of weeks. It is so sad to listen to stories like the one experienced by Mohammed. And this happens because these (probably ) amazing bespoke masters are sometimes overwhelmed by their egos ….. I placed my first order for 2 MTO pairs of trousers when Salva was in Leffot in Chicago, the trousers came out great, with a few tweaks needed. I met up again with Salva the next trip he came back to Chicago and ordered 4 more MTO trousers with the few tweaks that were needed, and he was nothing but a pleasure to deal with. After hearing about the tweaks that I needed, he asked me to bring back my trousers from the first order, and fixed those (with no charge), and had them sent back to me within a few weeks. My best fitting trousers (comparing to bespoke, mto, or off the rack), hands down! the only trousers that come close are my Anderson & Sheppard bespoke. Only the best to say for Salva and his product! Thanks Simon for the complete transparency and honest reviews! In order to give some balance to the portrayal of much-maligned Neapolitan tailors, and particularly Ambrosi, I have to say that my experiences have been uniformly good. Perhaps it helps that I speak Italian but I have had only good experiences and charm from the tailors, shirtmakers, and trousermakers that I have tried in Naples. 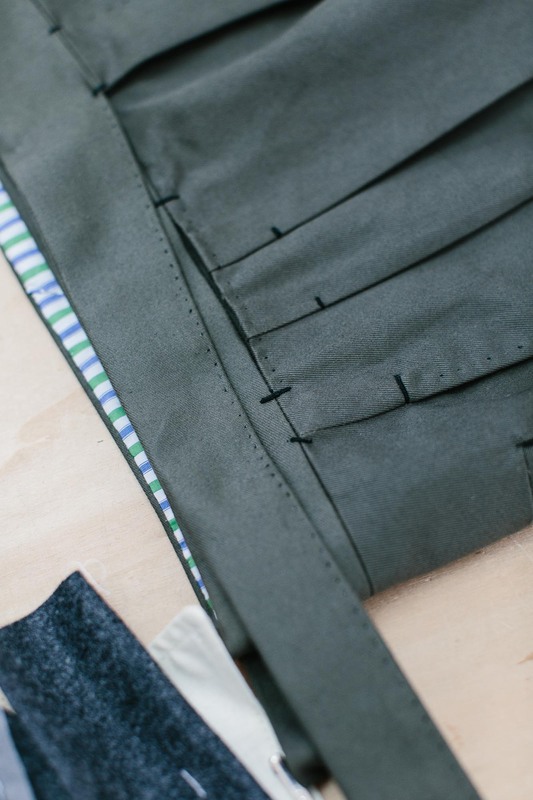 In particular, I have six pairs of trousers from Salva and after some some trial and error getting the fit right at the start they have been uniformly perfect – the best fit I have had from any trousermaker, beautifully made and promptly delivered. There are two sides to every story. Agreed. I’ve worked with NSM, Luca Avitabile and Formosa (via NMWA in NYC) and had great experiences with them all; definitely seems hasty to malign an entire city based on a few negative experiences! You might be right that language helps a bit; Luca and Mina both speak good English, while Greg translates for Dionisio at NMWA. Perhaps dealing directly with a tailor who doesn’t speak great English can lead to issues…? Picking up from Mohammed’s story of very poor service I wonder if this is a case of a small, family based firm trying to expand too quickly and realising that handworked craft manufacturers cannot mass produce or at least go beyond a certain point. Simon, do you have experience of other people finding this happens – I assume that there is a huge difference between a trouser maker suddenly finding too many orders have been taken and a situation where the more industrial scale of MTM and RTW is required? To a certain extent, yes, but it does also vary hugely between different makers. Some, it turns out, are quite good at being managers, creating systems for tracking and checking orders etc. Others are not. Simon – once again apologies if the below does not belong in your blog but I feel this has become the only way i can communicate with Ambrosi. Yes, you “said” you would replace the ones I ripped on August 1, 2016. Saying and doing is something completely different. I also never got angry or communicated with you in any manner except being extremely polite and courteous. I never asked you to do anything quickly – promising a two week delivery and not sending 4 months later is not quick. Bearing in mind that this is after months of being ignored. I am happy to release all whatsapp messages and emails to you to the public – just to show the process and pain that I went through with extreme politeness. I do believe that you are dishonest Mr. Ambrosi. The fact that you are trying to show that you are blameless and that I’m exaggerating is also dishonest. It would have been nice if you graciously admitted your mistakes. Thank you for the refund – that is if you actually do refund me. “Dear Mohammed. I’m sorry about this unfortunate experience. There truly was no offense, harm or dishonesty meant. I have issued a refund. Wishing the best in your sartorial journey. Thank you and all the best to you as well. As Mohammed, I had a lot of trouble with Ambrosi and other tailors from Naples. (not respond mails, poor adjustments..) I do not recommend!! Forgot to add… at the end of the day for me… hands down … best pants. I have always been very happy with Salvatore Ambrosi’s trousers. They did take time to get delivered at times but I’ve always learned to be patient. That being said, having a fixed date to receive your orders is normal and sticking to it is great. Maybe a Swiss German trouser maker would be more on time. Joke apart, I’ve never had better trousers than my Ambrosi. I also like the man in all transparency. I know that some people have had issues with him in different regards, notably delays. That happens. I’ve also had enormous disappointments on Savile Row and in Paris, way more significant than the delays in getting a pair of trousers. Now, it’s a pity you had a bad experience Mohammed and I admire your ability to remain courteous at all times. There are many other makers who will be happy to take your orders. As for Michael Alden’s comment on Neapolitan tailors, it is simplistic as pointed out by Simon, at best. I would also say it is dumb. I’ve ordered from dozens of craftsmen in Napoli. Yes I have had issues but to generalise in such a way is wrong and dangerous. Many in that area are running a family business and spouting that kind of generic non sense doesn’t help their trade to survive, while they are way more affordable than what one finds in Paris or London in terms of tailoring. 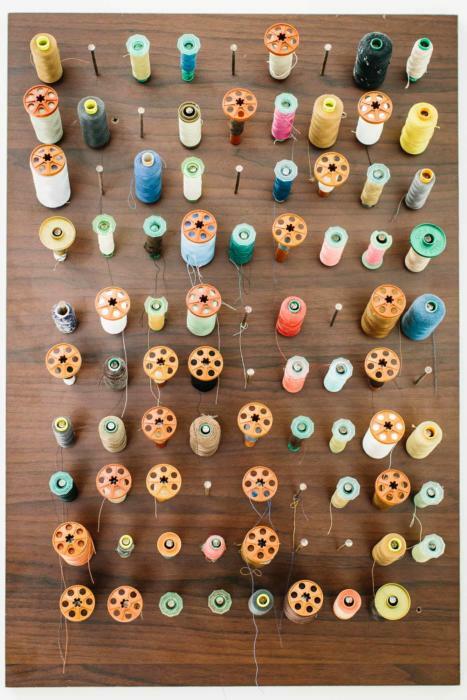 Alders comments were specifically about the 10 most lauded tailors on mensear blogs. Does anybody have a link to the original article the comments appeared in? It’s on the London Lounge forum (which he runs). I live in Italy and have it on good faith that 500euros changed hands for publishing this article on Ambrosi. That doesn’t seem to be transparent. Happy to be completely transparent about that. Often when I travel to visit brands or factories, they offer to pay my costs to do so. I make it clear that positive coverage is in no way guaranteed. With the recent week that Jamie and I spent in Naples, I did the same thing but spread the costs among the different craftsmen. So each paid a contribution, and this covered our hotel and travel costs, as well as Jamie’s photography fee. As ever with Permanent Style coverage, the best demonstration of objectivity and independence is the writing that results. And I hope you’ll agree this article as with others is balanced, highlighting both negative and positive points, and taking an analytical approach to both. Also that it’s very different from that produced on most other websites. But you have previously defended your integrity by saying you don’t accept favours. Hmm. I don’t accept favours. I am happy to accept costs with no strings attached. Read the articles; make up your own mind. Perhaps you should start adding this to the bottom of the relevant articles, like magazines do (or are supposed to do), for example: «Travel expenses in relation to making this article was provided by X». That would be real transperancy. Sure, I can see the argument for that. As with other things like discounts though, I think it suggests its more important than it is. Thanks Hal. I understand the point, but it’s the same as the issue we always discuss that I sometimes receive discounts on suits, jackets etc. I know it makes no difference to the reviews, and it’s obvious to most people that it makes no difference – but I understand why people raise it. The second issue is more interesting as it hasn’t come up before. Here, I would say I never want to become a shop, a full retailer, where my products conflict with the others I review. I never want to grow that much. I simply create products where it seems there is a real gap in the market – or I know that there is something my readers would really love, but it’s not commercial enough for a big brand to do. And I will continue to cover products that compete with those. Thanks Peter. I didn’t think I toned them down necessarily – more that, as I said at the beginning, the positive side was worth mentioning as people tend to remember reviews as merely good or bad. You get in touch with a maker and say you will travel out to review their product if they pay your expenses, or they get in touch and ask you to review and you reply only if they pay your expenses? And how does it work if they offer you a business class ticket and a fancy hotel vs an economy ticket and a plain hotel? And a nice car from the airport vs an Uber? I will review anything, regardless of whether expenses are paid or not. I just have to find it interesting and feel it is part of the aesthetic and goals of Permanent Style. Sometimes people contact me, sometimes I contact them, but it is rare there is a maker or artisan I haven’t heard of. Again, it’s similar to whether products come with discounts or not. If you think there’s any kind of link between costs and reviews, have a read again of both the reviews on Salva and on P Johnson, to pick two of many examples. And compare those to articles in every other fashion site or magazine. I take my hat off to you. I always thought you had created a very clever business model, but you have added a further layer. My sense it that you started out with an interest in bespoke tailoring, and you decided to start a blog (as many people do) to share your experience. You gave it a snappy name, and when you wrote about your second or third commission you found you had quite a number of folk reading about it. Readership means you attract the interest of advertisers, and from this advertising income you are able to spend more on new and different stuff, which attracts new readers, which attracts more advertisers, which gives you more money to fund further commissions. As you’ve got the field to yourself, people start asking you questions (some quite intelligent, others downright stupid), and you therefore cleverly position yourself as a bit of an expert, which attracts more readers, thus more advertising, and more funded commissions. And so it continues. Except now you demonstrate another stroke of genius by getting your travel and subsistence paid for by the people you write about. Brilliant!! I wish I had thought of it. I can’t imagine any other way that one could sustain this level of commissions that would make sense. How many suits, jackets, and trousers have been commissioned over the last 10 years by Simon, and how many more are currently in the works? Clearly, one doesn’t need a suit or jacket/trouser pairing for every day of the year (exaggeration), especially considering the climate of most offices today, so it makes absolute sense to me that the commissions are subsidized. To this point, it also makes sense that the associated travel expenses are also covered. Mainstream journalists do not pay for their travel when on location, so I can’t understand why this would be an issue here; I do agree with others that it might be best to notate this on respective articles . Providing the reviews truly aren’t tainted by this exchange, I see nothing wrong with it. I personally have very mixed feelings about the trousers that Salva made me. 16 pairs in total. The handwork is unmatched by anyone else in the industry. The styling is great. The fit is pretty good but could be better. In some cases he ignored my suggestions on fit and did as he thought would be best, much to my chagrin. In other cases, he lacked attention to detail and would forget small details. When I started ordering from him in 2015 things went great. The trousers turned out beautifully and I have no complaints from the initial orders. It was around the time that Salva got into the ready-to-wear trouser business that I noticed that many issues started to arise. The trousers started taking longer and longer to deliver. Then, when several new commissions showed up in July 2016 with the wrong details and were sent back to him…it took an additional 4 months to get the trousers back. They were commissions for spring/summer ordered in March with my pattern already on file and with a promised delivery in May. They showed up in July with several errors…were sent back…and then took another 4 months to come back with the adjustments. By then, summer was well over. I have 16 pairs of trousers from Mr. Ambrosi and my relationship with his trousers are truly love/hate. I love the quality and the handwork…it is truly genius and unrivaled. But the customer service and experience is very very bad. When you are paying such an exorbitant amount of money for trousers…you expect both top quality and top service. In the service department, Ambrosi severely lacks. Perhaps he is overwhelmed with the ready-to-wear when an account orders 10 or 20 pairs at a time and thus bespoke has gone to the wayside. I can’t say for sure but it is coincidental that this is when the issues started. I wish that the customer service would be better…but it is not. And thus I have moved on. I will not return to Ambrosi. People that genuinely enjoy and regularly read this blog don’t care if a maker, artisan or whatever else anyone else wants to call them contributes to your expenses, how else do they suppose would you keep this excellent blog running otherwise? Thanks, that’s nice to hear. I would recommend Marco very strongly. His fit and make is very similar to Ambrosi, Pommela etc, but I’ve had no problems whatever with him in terms of delivery, consistency and quality. Also if you’re in London, it’s a big bonus that his brother Massimo lives here, can see you any time, and speaks perfect English. I love the more or less subtle religious images in Italian workshops. I have some Ambrosi pants that are about 8 yrs old and holding up well. Fit is outstanding.